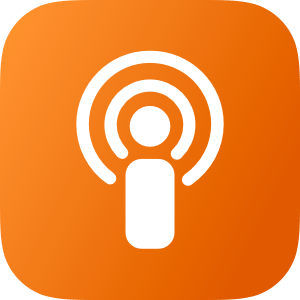 Following a major update that introduced a redesigned Now Playing screen, extensive shortcut support, and standalone Watch playback, Marco Arment has brought a variety of enhancements and fixes to version 5.0.2 of Overcast, released earlier today. Overcast 5.0.2 has added new round complications for the Infograph faces on the new Apple Watch; these act as launchers that simply open the Overcast app on the Watch, which I find convenient enough. Furthermore, you can reduce the amount of haptics used by the app to communicate certain actions (I love haptic feedback in Overcast, so this option isn't for me), and there are new options for configuring how the 'Send to Watch' feature works. New shortcuts in Overcast 5.0.2. 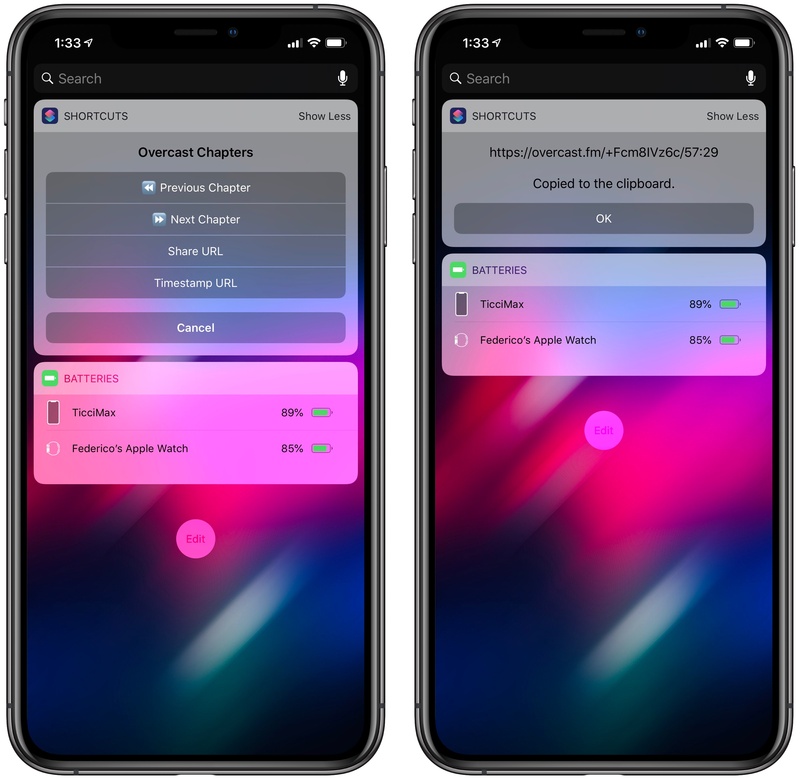 Most of all though, I'm interested in the new Siri shortcuts supported by Overcast. The app now offers shortcuts to activate or cancel the sleep timer, as well as two shortcuts to copy the current episode's standard or timestamped link to the clipboard. The ability to quickly generate an Overcast link for the episode you're listening to is a perfect use case for shortcuts: it removes repetitive interactions with the app and, with the tap of a button or Siri phrase, it gives you a link you can instantly share with others. For the occasion, I've turned my original Overcast Chapters widget shortcut into Overcast Controls, an enhanced widget that, besides chapter navigation, now uses the app's new shortcuts to let you copy episode links too. You can download it below. Navigate chapters or copy links for the Overcast episode you're currently listening to. Best used as a widget.